I am always looking for an excuse to make these bars, so when the fine ladies of Al-Bahira, my belly dance troupe, decided to host a holiday bake sale at a show over the weekend to help raise money for the matching grant we received from Springboard for the Arts, I was so pumped, I made a double batch. 1. Preheat your oven to 375° F and spray a 9 by 13-inch baking pan with cooking spray. 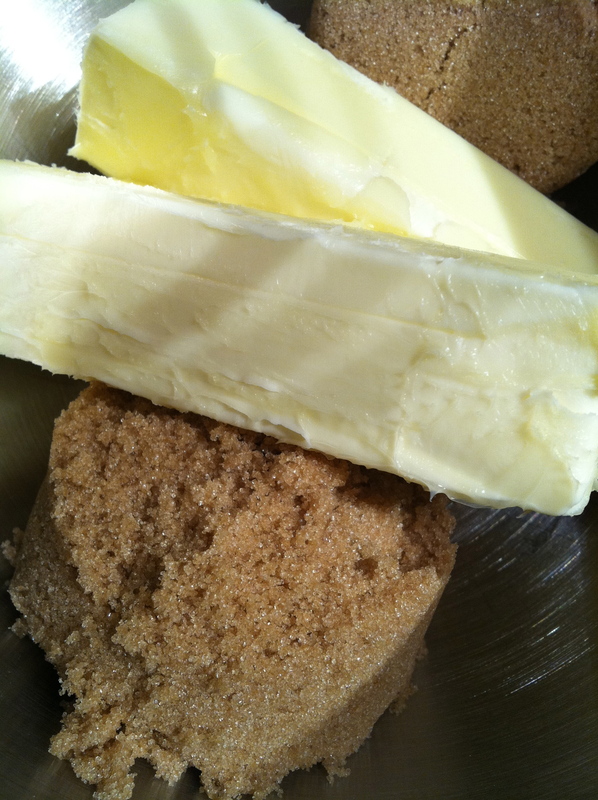 TO make the crust, add the butter and brown sugar to the bowl of an electric mixer with a paddle attachment. Mix on medium speed until light and fluffy, or about 2 minutes. 2. Add the flour, 1 cup at a time, mixing until its fully incorporated after each addition. 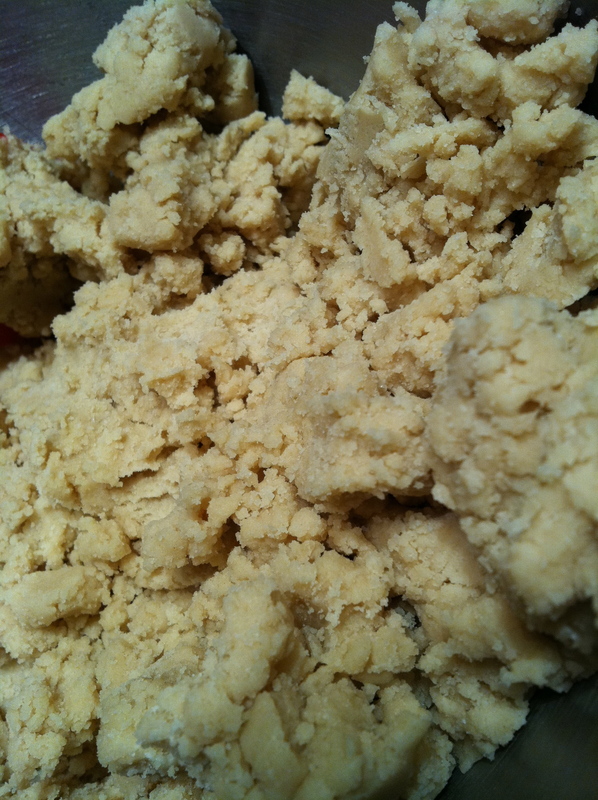 Keep mixing until the dough begins to come together in large clumps. Make sure to scrape the sides of the bowl to get all the flour in there! 3. 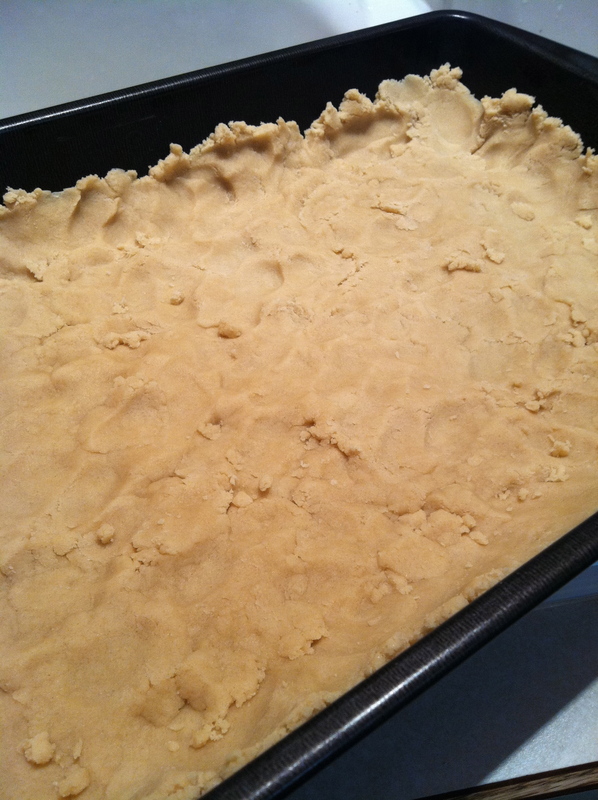 Press the dough into the bottom and an inch up the sides of a 9 by 13-inch baking pan. Bake until golden brown, 18-20 minutes, then put the pan on a cooling rack and let it cool to room temp while you make the filling. Reduce the temperature of the oven to 325°F. 4. 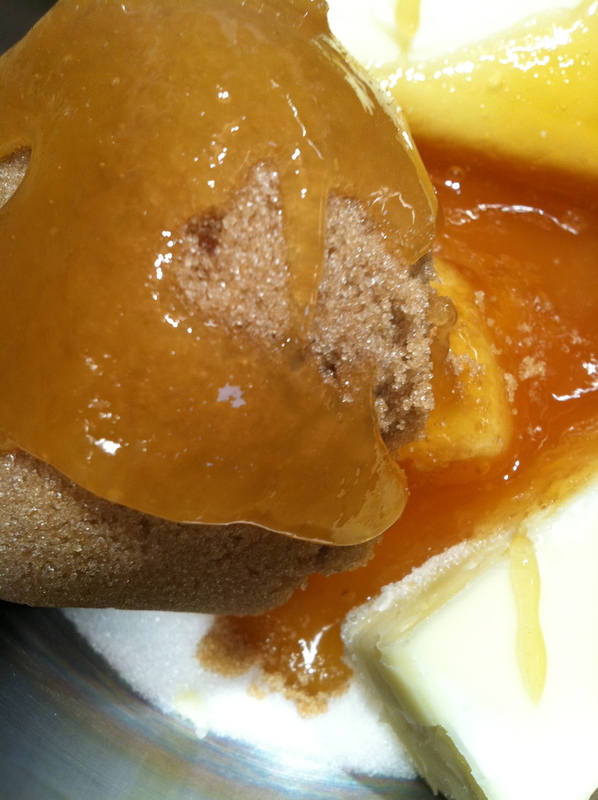 To make the filling, put the butter, brown sugar, honey, sugar and heavy cream in a saucepan over high heat. Bring the mixture to a slow boil, stirring constantly until the mixture coats the back of a spoon. It shouldn’t take long, maybe 5 minutes total. 5. 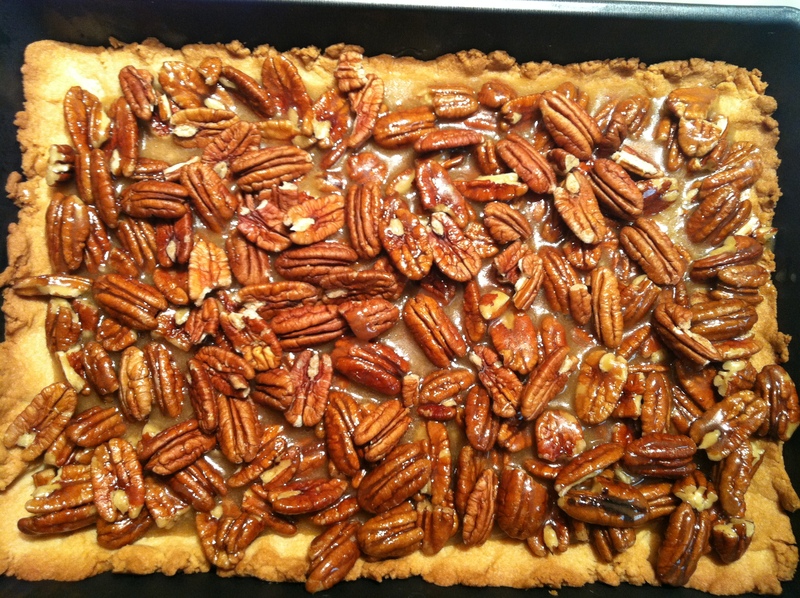 Remove the delicious sugary goo from the heat and stir in the pecans and vanilla. Pour the whole thing into the pre-baked crust and and put it back in the oven. Bake until the filling bubbles, 15-20 minutes, then let it cool to room temperature. They will be impossible to cut until they’re cooled, so try to hold off until they’re firm. Slice them up and serve after the turkey, or store them in an airtight container at room temp for up to a week. 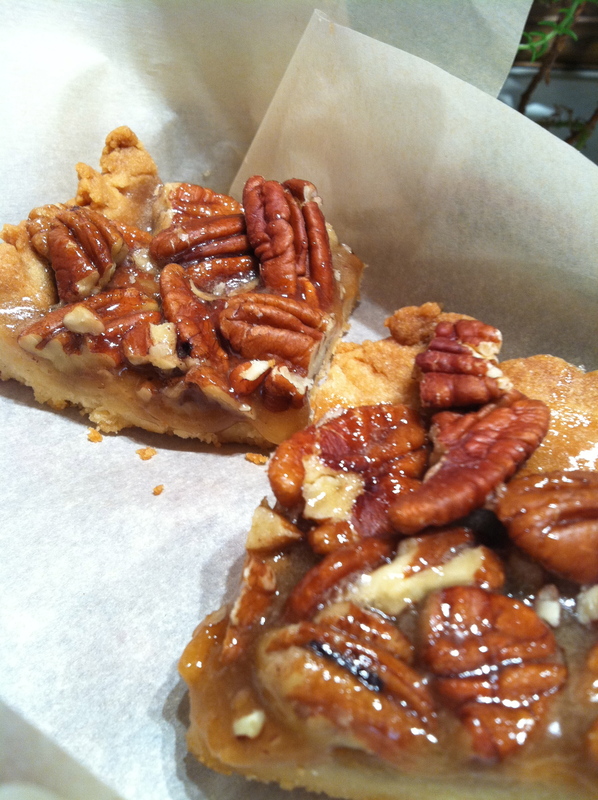 This entry was posted in Uncategorized and tagged Bake sale, bars, Holiday, Pecan, Pecan pie, Pie, Thanksgiving by theculinarycapers. Bookmark the permalink.